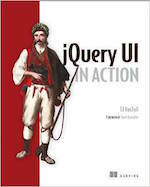 What&apos;s New in jQuery UI 1.12? New theme: New theme: Our long-time default grayscale theme Smoothness has been succeeded by a modern theme with some colors, less gradients and some other improvements. New widgets: jQuery UI 1.12 includes widgets: Controlgroup replaces buttonset and adds support for selectmenu and the new checkboxradio widget. We&apos;ve added support for using jQuery UI with AMD and Bower. We also have over 50 bug fixes. Interested in the full details of what changed? Check out the 1.12 upgrade guide, 1.12.0 changelog, and 1.12.1 changelog. 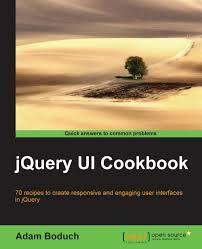 jQuery UI is built for designers and developers alike. We&apos;ve designed all of our plugins to get you up and running quickly while being flexible enough to evolve with your needs and solve a plethora of use cases. If you&apos;re new to jQuery UI, check out our getting started guide and other tutorials. Play around with the demos and read through the API documentation to get an idea of what&apos;s possible. Stay informed about what&apos;s going on with jQuery UI by subscribing to our blog and following us on Twitter.